The Israeli government is trying to overturn Airbnb’s decision to remove listings in settlements in the West Bank. On Wednesday, representatives from several Israeli government ministries assembled in Jerusalem to discuss possible ways to overturn the company’s decision. The same day, Israeli Deputy Minister of Foreign Affairs Tzipi Hotovely forwarded a letter to Airbnb protesting the move. Airbnb has yet to reply to Calcalist’s request for comment. Early last week, Airbnb announced the company will be removing “approximately 200 listings” in Israeli settlements from its service. The announcement came a day before the New York-based nonprofit Human Rights Watch was set to publish a report outlining the company’s activities in Israeli settlements. 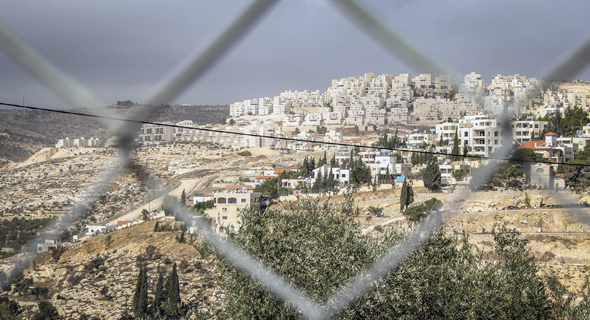 Titled “Bed and Breakfast on Stolen Land,” the report provides information about 139 properties that Airbnb listed in Israeli settlements in the West Bank, not including East Jerusalem, in the spring of 2018. Secretary General of the Palestine Liberation Organization (PLO) Saeb Erekat praised Airbnb’s decision as an “initial positive step.” The company should have included East Jerusalem in the locations from which it intends to remove listings he said. Critics of Airbnb’s decision in Israel and the U.S. were quick to point out that if put into effect it would be the first and only time the company decided to remove listings in disputed territories. Airbnb has not made similar announcements concerning any other territory, including regions Israel took control over in 1967—the Golan Heights and some neighborhoods in Jerusalem—nor other disputed regions, including Tibet and West Sahara. Airbnb said in its announcement it developed a framework for evaluating how it “should treat listings in occupied territories". Listings in Israeli settlements in the West Bank “are at the core of the dispute between Israelis and Palestinians,” and should, therefore, be removed the company said. On Monday, Israeli Minister of Tourism Yariv Levin called for action against the rental listing service. A member of Israel’s ruling Likud party, Levin called Airbnb's decision "shameful," and ordered the Israeli tourism ministry to start outlining steps that will limit the company's operations in the country. He also said the minisry will put together a plan aiming to encourage tourism to West Bank settlements. Wednesday’s meeting was attended by representatives from Israel’s Ministry of Strategic Affairs, and the country’s ministries of Tourism, Foreign Affairs, Justice, Economy, and Israel’s Tax Authority. Hotovely forwarded her letter to Airbnb via the Israeli consulate in San Francisco the same day, protesting the decision and asking the company to overturn it, a spokeswoman for the ministry said in a phone interview with Calcalist Tuesday. Florida Senator Marco Rubio (Rep.) called out Airbnb’s decision on Twitter on Friday. The city council of Beverly Hills passed a unanimous resolution condemning Airbnb’s decision and called for a ban on the company, the council said in a statement published Wednesday. In a statement sent to Calcalist on Monday, Israel’s Minister of Strategic Affairs Gilad Erdan said he will act “in all possible ways to cancel the decision discriminating against citizens in the State of Israel and harming them financially because of their place of residence." Charged with countering the boycott movement against Israel, his ministry coordinates Israel’s actions with regards to Airbnb’s decision, together with the country’s ministry of tourism. The class action also names Israeli human rights organization Kerem Navot, credited with co-authoring the report published by Human Rights Watch as a defendant. Rabinovich has not been notified of the company’s plans with regard to the timing of the actual removal of her rental home from the service. Under Israeli law, all Airbnb hosts whose listings will be removed due to the announced policy are automatically included in the suit, unless they decide to opt out. Update November 28: As part of the range of actions taken by Israel, Erdan sent letters to five governors in the United States: to New York Governor Andrew Coumo (Dem. ), to California Governor Jerry Brown (Dem. ), to the current Governor of Illinois Bruce Rauner (Rep.) who was defeated in the midterm elections by J.B. Pritzker (Dem. ), to Governor of Missouri Mike Parson (Rep.), and to Governor-elect of Florida, Ron DeSantis (Rep.). In the letter, Erdan asked the governors to examine the legislation against the boycott in their respective states, and “to speak out against Airbnb's decision, and take any other relevant steps, including steps relating to commercial relations”, according to a statement sent to Calcalist Wednesday.